Heidi is co-founder of ACHIEVE and has worked in various leadership positions within our organization, most recently as Director of ACHIEVE Publishing. In addition to working with ACHIEVE, she is active in the local community, and sits on several different boards and committees. Heidi believes that training is a conduit to start larger conversations that truly affect change within our communities and organizations. In her training and consulting work, she works primarily in the area of sexual harassment prevention. Heidi is passionate about bringing awareness to the issue of sexual harassment and helping organizations create a culture where it is not tolerated. As a trainer, she is enthusiastic and works to make sure that participants are actively engaged in the material she is presenting. Sexual harassment is not only detrimental to the person who has been harassed, it also impacts the wellbeing of the entire workplace. 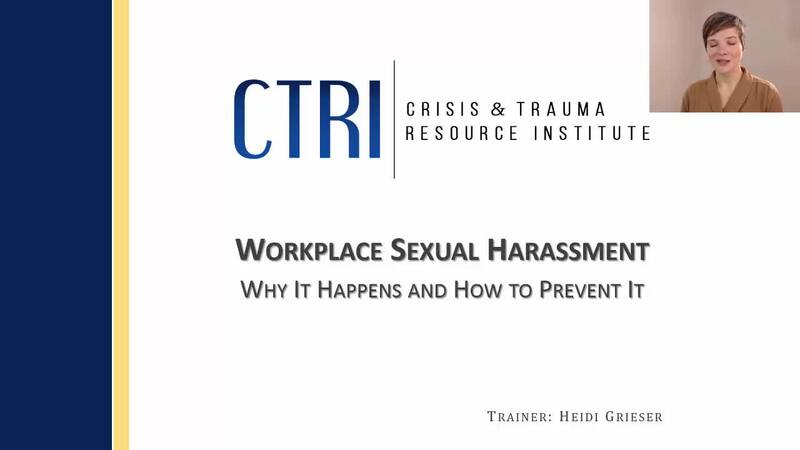 This webinar presents a proactive approach for those seeking to understand and prevent sexual harassment in the workplace. Going beyond basic definitions and policies, viewers will gain a better understanding of what sexual harassment is, why it happens, and how to prevent it.